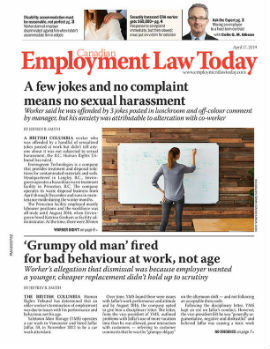 The Ontario Court of Appeal has underscored the importance of clear and specific language in employment contracts after it ruled a worker who found a job only two weeks after being terminated without cause was entitled to the full six-month notice period stipulated in his contract. In Bowes v. Goss Power Products Ltd., the appeal court provided further clarity with respect to an employee’s duty to mitigate where there is a termination clause that provides for a fixed notice period upon a termination without cause, and which is silent as to the obligation to mitigate. The Court of Appeal determined a termination clause providing for a fixed period of notice displaces the employee’s common law duty to mitigate. Further, the fixed period of notice becomes a contractual term that must be complied with and cannot be reduced by the employer due to early mitigation by the employee during the notice period.